Tickets can be purchased together with your accommodation from us. After the booking has been paid in full you will receive an order confirmation via email that contains a PDF file with the tickets. The tickets will be activated when you enter the park and valid on that day or days depending on the type of ticket you have chosen. The reception is manned during the opening hours above and the telephone number is +46 (0)492-564 770. The booking is binding on the parties when the stated deposit has been paid. 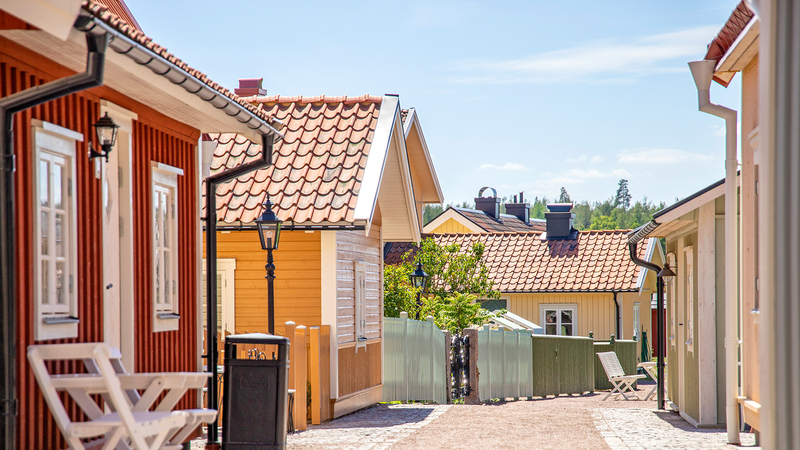 The deposit and any cancellation insurance must be paid to Astrid Lindgren’s World’s guest accommodation no later than 10 days after the date of booking. Otherwise we have the right to cancel the cottage. The final payment shall be made to us no later than 30 days before arrival. NB If you book a cottage with an arrival date within less than four weeks, you must pay the full amount at the time of booking using our credit card service. If you choose to pay by paper invoice, there will be an additional fee of 70 SEK. Vid avbeställning utan avbeställningsskydd när det är mer än 30 dagar kvar till ankomst återbetalas inte anmälningsavgiften. Vid avbeställning utan avbeställningsskydd när det är mindre än 30 dagar kvar till ankomst återbetalas inte bokningsbeloppet. When cancelling without cancellation insurance 30 days or more before arrival, the booking fee will not be repaid. When cancelling without cancellation insurance less than 30 days before the arrival date, the amount of the booking will not be repaid.